It has been a good 7 months since I started using Shopback and I’m still loving it! This is a follow up entry to my last review 5 months ago where I introduced ShopBack to my readers after receiving my first payout. From my first payout of $24.28, this amount has increased by 4 times to $124.05 in the past 5 months (with $50.04 pending). To be honest it’s not that hard to forget with their frequent eDMs. You give them $5 when you invite them to join and subsequently you earn a $5 referral fee with every successful signup, as long as they make a min. $25 purchase via Shopback. If you want to receive your FREE $5 from me, you can use my referral link! Look for useful coupon codes or offers at ShopBack before you start your shopping trip! It might not sound like a lot of money but cumulatively, it can work out to a decent sum. In this case, this amount is enough to pay for my blog domain and hosting fees which is due yearly. Plus ShopBack has an extensive range of merchants, plenty enough for you to earn cashback from whatever purchases you make. You can even get massive savings on your groceries with cashback and very handy Redmart coupons. Here are my top 3 recommendations for Shopback! I’m pretty much a Groupon supporter (but only for the F&B deals; their product purchase don’t really have a good track record). Alright, the best part of using Shopback is that you can double up Groupon discounts + Shopback + Credit Card Rebates. You add the maximum discounts in and you’re getting a 78% off for your deal! How much better can it get?! The good thing about Groupon is that the tracking is fuss-free (I never had any missing cashback!) but the bad thing is you need to wait for 50 days for your cashback to become redeemable. Grab a Groupon promo code and save even more at ShopBack! It is one of my top favourite website where I purchase almost everything from. From personal to corporate purchases, from stationery to banquet chairs, from fairy lights to LED flood lights, from hats to shoes (and socks), from inner wear to outerwear, from iPhone casings to iPhone cables.. perhaps the only thing that I have yet to buy from Taobao is food. Do note that there’s something tricky about Taobao as not all purchases are entitled to cashback. Only items found via the search box on shopback is eligible. Furthermore, it is also harder to track as you pay Taobao in RMB but the cashback you receive is in SGD. I don’t really know effectively how much cashback I received from all my purchases as I don’t do any tracking but time to time, I do see like $0.07 or $0.29 lines from Taobao in my account. The best part is that this cashback amount usually becomes redeemable in a few weeks, although it is stated 90 days according to shopback website. Anyway, Taobao things are already so cheap to begin with – receiving cashback on top of your already cheap purchases is like adding a cherry on top of the whipped cream. 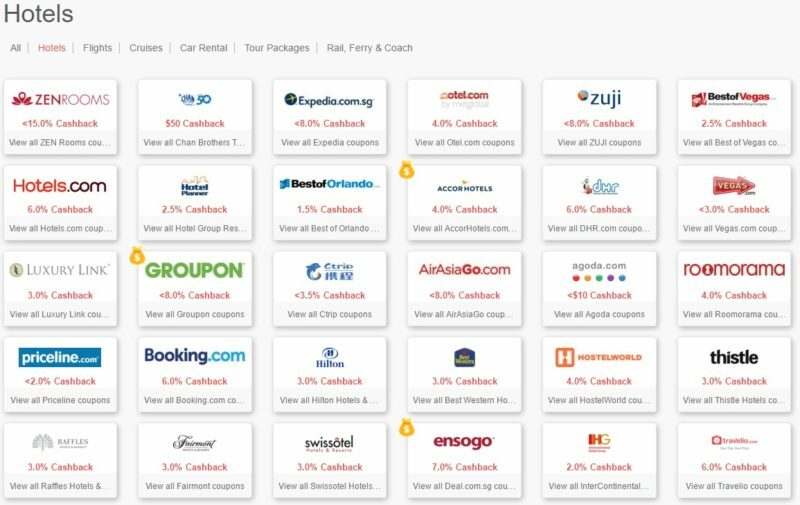 I don’t have any preferences for booking websites in general but I will search the Shopback’s website travel section and purchase from the website with the most attractive travel deals and rebates! 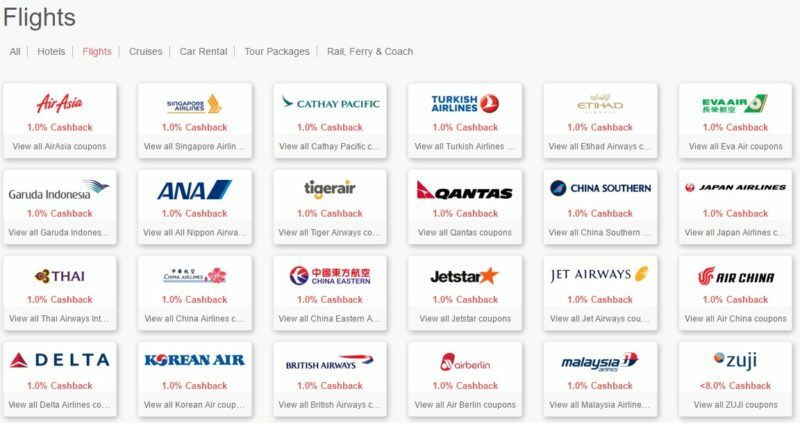 Do you know that national carriers such as Singapore Airlines (booked via Expedia) is eligible for a 1% rebate? If only I knew about this when I bought my Japan tickets.. could have gotten by $6+! Well, it’s better late than never! I don’t have a favourite brand that I usually book with as I choose the hotels based on the best rates at time of purchase. The only brand that is not yet available on shopback is Airbnb. It might only be April but I’ve already made 3 reservations on airbnb just this year alone. Oh wells, some day! Anyway, so the most important tip that I have for you today. – Download the Shopback Buddy and never lose out on any potential cashback! Since the Shopback team has done up such a straightforward video to explain on how to use it, i’ll just skip the explanation! Download this Chrome extension and never miss out on any opportunity to earn cashback! Don’t forget to follow their facebook page for the latest updates, random competitions and interesting articles! Hi, you just had me convinced of signing up after reading your post! Been directly purchasing stuff from Lazada and other online shopping sites for 2 yrs but been afraid of signing up with some services if they misuse my account. Will comment back if this works for me. Have a wonderful Holiday ahead and more power to your Blog !! Hey, yep I was a little dubious about such a good deal when I first started out so I only waited till I see the money in my bank account before I wrote this article to share it with people. It will be a long wait but well, it’s ‘free’ cash after all! I guess they get to earn money from acquiring the large user database where they push out EDMs to us. Anyway, good luck and hope to hear from you again!